With trends for advertising changing year on year, one that never fails is window manifestations. 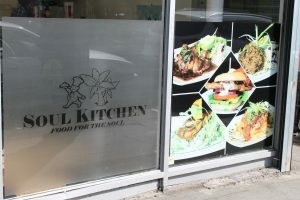 Having the potential to increase your advertising whilst setting a creative edge, window manifestations are a great way to set your business apart. Here at Ruislip Signs and Graphics, we have created window manifestations in Rickmansworth for many years now, and have worked with several designs. From simple signs through to creative designs, Ruislip Signs and Graphics are here to cater to your needs. We can work with you to create a window manifestation that perfectly represents your business, be this with an edgy design, or something simple yet straight to the point. Window manifestations are a fantastic choice of advertising for businesses across Rickmansworth. 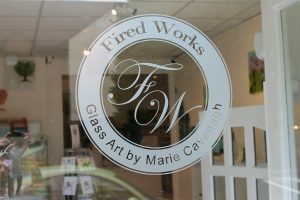 Not only are our window manifestations ideal for increasing your branding, but to reduce glare too. Whether you have too much sunlight coming through or would like to open more opportunities for advertising, Ruislip Signs and Graphics have the solution. Choosing to have window manifestations for your business comes with many benefits. The importance of window manifestations for businesses in Rickmansworth is phenomenal. Our window manifestations can be used to separate offices and add privacy to each room, whilst it can also be used solely to increase brand awareness. Here at Ruislip Signs and Graphics, we have been installing window manifestations in Rickmansworth for many years now. Over this time, we have been able to understand more and more about the importance of window manifestations. This has allowed us to cater to our clients’ needs in a much more effective way, as well as providing a more suited service. Our window manifestation installation service in Rickmansworth is here to take advantage of. This will then start to benefit your business’s branding now, and in years to come. Attention to detail – they look great! If you’re interested in having window manifestations in Rickmansworth, Ruislip Signs and Graphics have you covered. Regardless of your needs, Ruislip Signs and Graphics are here to take your business’s advertising to the next level. For all your branding and advertising needs across Rickmansworth, Ruislip Signs and Graphics are the team to call on. Get in touch with Ruislip Signs and Graphics today to find out how we can help. Call our team on 07717 337 658 or email: pjsgraphics@yahoo.co.uk to talk through your options for window manifestations in Rickmansworth. We’re here to take care of all your advertising needs. So, be sure to choose Ruislip Signs and Graphics today to find out more about our window manifestations in Rickmansworth. We’re here to help.